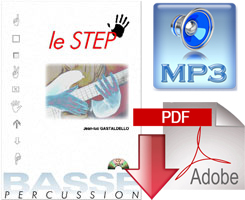 Musicom / Carish, PDG, Distingo, Bassteach and Bassgroove. 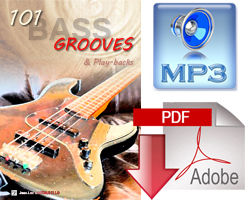 - How to build a bass line, a groove which " holds the road "? - What structures , notes , rhythms and playing settings are the best to choose? - Is it possible to study the elements used in the construction of a groove in spite of the complexity and the extent of potentials ? This book (the only one of its kind) unveils and responds in a concrete, visual and progressive way to all these questions ! 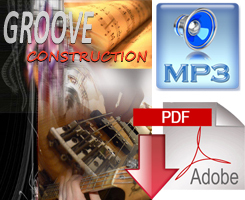 You will have the opportunity to get the harmonic and technical tools necessary for the creation of your own grooves . thanks to the numerous playbacks . (A. Laboriel, G. Veasley, C. Rainey, V. Wooten, etc ...). Each offers the possibility of an original sound effect. 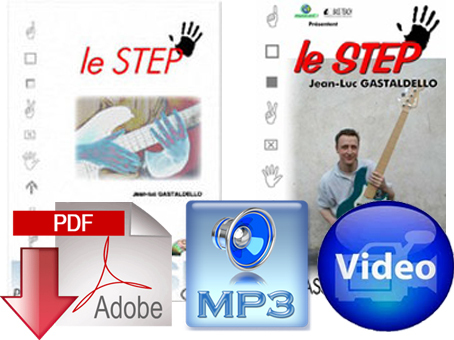 The different gestures of the STEP, combined with Slap playing will enable to consider countless rhythmic and melodic combinations to create very specific groove bass lines. 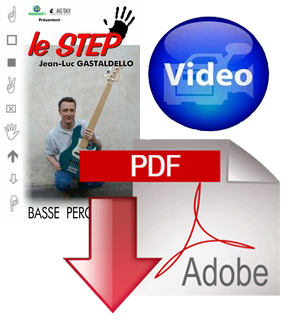 If you are interested in this new playing style, all the technical explanations and hundreds of exercises and plans are presented in the 64 pages of the method. 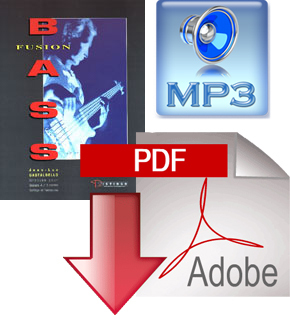 The accompanying CD contains over 200 bass parts recorded without or with orchestration. See a quick survey of technical STEP on Video? The video gets back to each STEP technique for an accurate visualization : Presentation and explanation of each technique, STEP basic exercises and grooves. In addition to the audio method, to have a first idea or to make you want to deepen this percussive concept. This book collects 40 most representative examples of the “fusion" style. 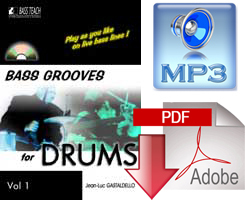 The technical diversity pictured by all these "grooves" study (slap, pizzicato, double stop, slide, dead notes...) will help to reach and master the different styles of this very modern music: Jazz, Rock, Funk, Blues, Latino, etc.. The CD contains every example with a very full orchestration, followed by the playback without the bass. 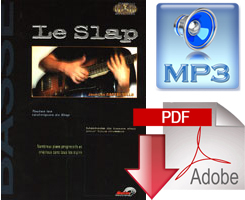 Designed for bassists of all levels, this method is devoted to the study of the different techniques used on slap. 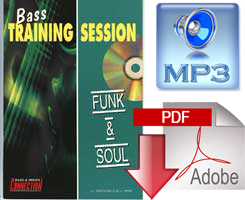 After each technical description, a large number of exercises and bass lines will enable you to initiate or improve your skills according to your current level. The CD contains all the plans recorded in stereo: bass on the right, orchestration on the left, allowing to play with a high quality playback. The book consists of thirty original grooves (tracks or patterns) where all the Funk trends are approached (Rhythm & Blues, Soul, Acid Jazz, Funk Rock , Fusion Funk, etc ...). This book is for all levels bassists who wish to learn or to improve in the most representative style of the current musical trends. For each track , you have on the CD a full orchestration followed by a playback. The purpose of this book is to enable drummers or percussionists to play with a bassist in the most live conditions. No machine here: all the bass parts and guitar or keyboard accompaniments have been recorded live without programming. All the drums parts are from Keith Le Blanc. He will jam freely on the bass lines or play drums patterns recorded as example. the complete example and its playback.